If you think your snoring at night is no worse than a cause of dispute between you and your spouse, you may be wrong. If snoring at night is accompanied by daytime sleepiness, irritability, chronic fatigue, difficulty concentrating, or other symptoms, it may be you are suffering from a potentially deadly condition known as sleep apnea. The majority of sleep apnea sufferers (as much as 80%!) do not know they have the condition, which can dramatically shorten your life by putting you at risk for everything from car accidents to heart disease to dementia. Don’t let this serious health condition continue to threaten your life. 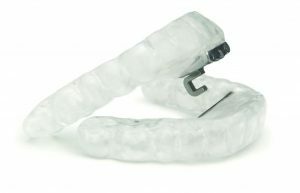 Please contact Ascent Dental in Cherry Creek to learn more about sleep apnea and what can be done to help you. During the day, your airway is kept open with a combination of gravity and the action of many muscles, but at night it becomes more challenging. When you lie down on the bed, the weight of your neck tissue and your tongue push down on your airway. When you fall asleep, the muscles holding open your airway relax. When this combination of weight and relaxation narrows your airway, it creates what is described as “turbulent airflow,” which vibrates the tissues of your throat. You hear these vibrations as snoring. When the weight of your tissues causes your airway to close completely, it is known as obstructive sleep apnea. When your brain senses the air flow has stopped, it signals your body to wake up just enough to reopen your airway. You may not be aware of it, but this may happen hundreds of times a night, and every time you awaken slightly, it keeps your body from reaching the deeper levels of sleep necessary for rejuvenating your body and mind. This lack of regenerative sleep causes a cascade of health effects that can be dangerous or even deadly. See Questions about Sleep Apnea for a detailed list of symptoms and more technical information about sleep apnea. Fortunately, sleep apnea treatment is highly successful in reducing your risk of these health conditions. 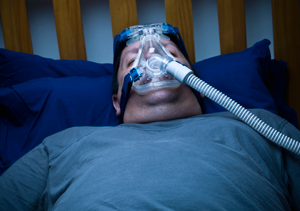 If you fear you may be suffering from sleep apnea, you should not hesitate to seek treatment. For help getting the treatment you need, please contact Ascent Dental and schedule a consultation at our Cherry Creek office today.